Whether world travelers know it or not, their bucket lists are often jammed with UNESCO World Heritage Sites: places deemed to have cultural significance by the United Nations. These spots span the globe and create something like a highway for adventurers seeking history, tradition and architectural gold. Here are a few, provided by our friends at adventure travel company On The Go Tours, that will help you visit more than a few of your dream destinations. Best of Morocco is a two-week adventure around the Sahara desert (where you can see the Erg Chebbi sand dunes) that covers seven UNESCO sites. You can experience Marrakech, with its UNESCO-listed medina, mosque and palaces, as well as the ancient Kasbah of Ait Benhaddou and the Roman ruins at Volubilis. The trip ends with a stay in the seaside city of Essaouira. Chinese Checkers is an 11-day trip that covers five UNESCO sites. The journey begins in Beijing and continues on to Badaling and Juyongguan where you can explore UNESCO listed sections of the Great Wall. The adventure then moves on to Luoyang, home to the Shaolin Kung Fu Temple, and then Xi’an, where you can view the famed Terracotta Warriors before ending your trip Shanghai. 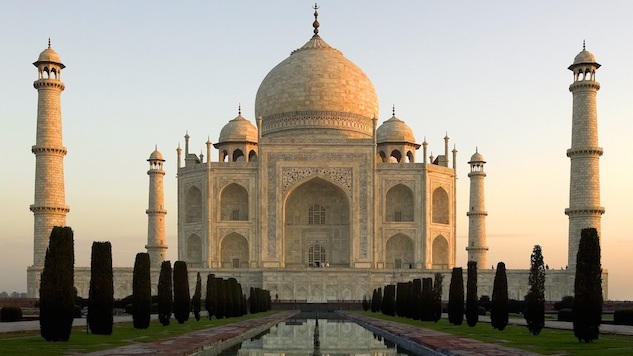 Taj Express is an eight-day tour of India’s Golden Triangle that covers four UNESCO sites. The trip begins in Delhi, where you can see Humayan’s Tomb, Jama Masjid and Gandhi’s crematorium Raj Ghat. The tour also takes you to the famed Taj Mahal in Agra, the abandoned Mughal city of Fatehpur Sikri and the Pink City of Jaipur. Land of the Samurai is a 12-day journey that covers five UNESCO sites and explores the best of Japan’s capital city Tokyo as well as Kyoto, with its UNESCO-listed Nijo Castle and famous geisha district. The trip continues on to historic Hiroshima and then Miyajima Island with its Red Torii Gate (the iconic “floating” Itsukushima shrine that stands in the sea) and the Himeji Castle before ending in Osaka. Colombo, Caves & Kandy is an eight-day tour of Sri Lanka that covers 4 UNESCO sites, and will take you to the rock fortress of Sigiriya, the Dambulla cave temple and the historic Temple of the Tooth in Kandy. On the trip you’ll also experience a train ride through the country’s tea plantations and visit the Udawalawe National Park, home to the nation’s largest herd of Asian Elephants. Madison Gable is a freelance writer based out of Athens, Georgia.